DREAM TEAM: The night's best pieces had energy, drama and lots of spark. ACCORDING to emcee Joan Andrea Hutchinson, over 12,000 entries were submitted for the speech competition alone in the 2017 JCDC National Festival of the Performing Arts. 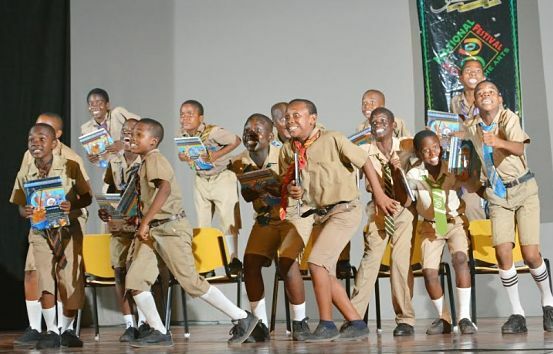 Last week’s Speechfest whittled that number down to the cream-of-the-crop entries (close to 20) showcased before a sizeable and appreciative crowd at the Ranny Williams Entertainment Centre in Kingston. School-age performers, hailing from institutions across the island, shone as they delivered solo and group pieces with conviction and no shortage of gold-medal gusto. Speechfest 2017 formed part of a Best of Festival series, put on by the JCDC, that shone the spotlight on the year’s most outstanding gold medal awardees. Dramafest, Dancefest, Traditional Folk Forms and Musicfest completed the series.